The Olympics, as is tradition, are shaping up to be an unmitigated public health/economic/safety disaster! The athletes’ village lodgings are so bad that the U.S. Men’s Basketball team is staying on a cruise ship for the duration of their time in Rio, which, if you really think about it, might not be so bad after all given that fresh Guanabara Bay air seeping through the ship’s vents. Which got me asking the all-important question: Will it be good for the Jews? Maybe! Seven American members of the tribe will be competing in the Games this summer, according to The Times of Israel, in everything from fencing to rugby. As we settle in for our quadrennial round of “pretend to understand what dressage is,” let’s take a look back at some great moments in Jewish Olympic history, of which there have been far more than I first realized. Fun fact: Jews have medaled at every single Games held since 1896, winning at least one gold every time between 1896 and 1988? Neither did I. When I went to the Olympics, I had every intention of shaving the mustache off, but I realized I was getting so many comments about it—and everybody was talking about it—that I decided to keep it. I had some fun with a Russian coach who asked me if my moustache slowed me down. I said, ‘No, as a matter of fact, it deflects water away from my mouth, allows my rear end to rise and make me bullet-shaped in the water, and that’s what had allowed me to swim so great.’ He’s translating as fast as he can for the other coaches, and the following year every Russian male swimmer had a mustache. Alfred and Gustav Flatow were already accomplished German gymnasts by the time they qualified for the 1896 Games, but it was there that their talents were on full display on the world’s biggest stage. Both took home the gold as part of the winning Team Parallel Bars and Team Horizontal Bars competitions, and Alfred won an individual gold in Individual Parallel Bars. Both cousins were unceremoniously booted from their positions in German gymnastics in 1936, and both died at the Theresienstadt concentration camp. Kerri Strug won a bronze at the ’92 Games in Barcelona, but she’s best known for her performance at the ’96 Games in Atlanta, where she provided audiences one of the most recognizable moments in American Olympic history. Limping to the vault after a bad landing during an earlier qualifier, she needed a high score for the American team to win the gold in the team all-around. Struggling to walk, Strug scored a 9.712, securing an American victory on an ankle that was later revealed to have a third-degree lateral sprain and tendon damage. Then, she hugged Bela Karolyi. The first Winter Games were held in 1924, but it wasn’t until 1932 that speed skater Irving Jaffee, an American Jew, won two gold medals at Lake Placid. Jaffee, who recalled signs at Lake Placid that read “No dogs or Jews allowed,” won both the 5,000 and 10,000-meter races, winning the latter by throwing himself over the finish line to narrowly edge out two other skaters. 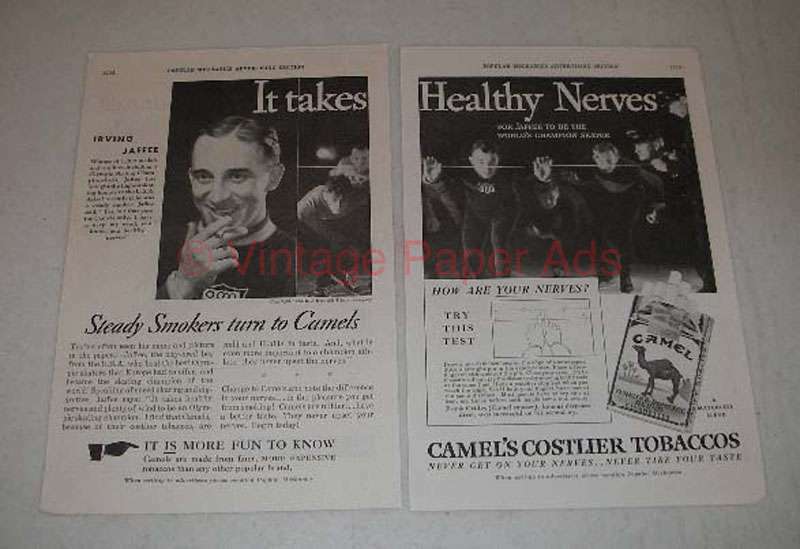 His life was a roller coaster ride; he was forced to pawn his medals during the Great Depression (he never recovered them), worked at Grossinger’s as the winter sports director, appeared in ads for Camel Cigarettes, and grew up playing baseball with Hank Greenberg. Keleti, a Hungarian Jew, escaped the advancing Nazis during WWII, purchasing Christian papers and working as a maid in a rural town. Just a few years later, she won her first gold in gymnastics at ’52 Games in Helsinki, with a silver and two bronze medals for good measure. However, it was the at the ’56 Games in Melbourne where she truly shined, winning four golds along with two more silvers. Keleti hasn’t had an easy life; her father was killed in Auschwitz, and her mother and sister were only saved by the grace of Raoul Wallenberg. After the ’56 Olympics, the Soviet Union invaded Hungary, and rather than return, she emigrated to Israel, where she still resides. Born in Poland, Prinstein moved to Syracuse in 1883, where he’d later attend Syracuse University and obtain his law degree. He also happened to be a preternaturally gifted jumper, and in the 1900 Games in Paris, he won the gold in the triple jump, an event he’d also win at the ’04 Games in St. Louis. His career was not without controversy: At the Paris Games, Prinstein was given the silver in the long jump after being deceived by competitor Alvin Kraenzliein. Syracuse officials tried to bar their students from competing on a Sunday, in line with the Methodist beliefs of the school. Knowing that, the two jumpers had an informal agreement that they would not compete on a Sunday, as Kraenzlein was a Christian. Kraneznlein, however, went ahead and competed that day anyway, out-jumping Prinstein and taking the gold. Prinstein, according to some sources punched Kraenzlein in the face. Sports! Tablet has covered Raisman at length, and rightfully so: She’s one of the most accomplished gymnasts in the world. She was part of the legendary “Fierce Five” at the ’12 Games in London, where the team won the artistic team all-around. She also won an individual gold in the floor exercise, dancing to “Hava Nagilah,” and a bronze in the balance beam. Look out for Raisman starting Sunday, when she’ll be competing in the uneven bars.